Keep Track of your Medication Doses with this Storage and Reminder System. 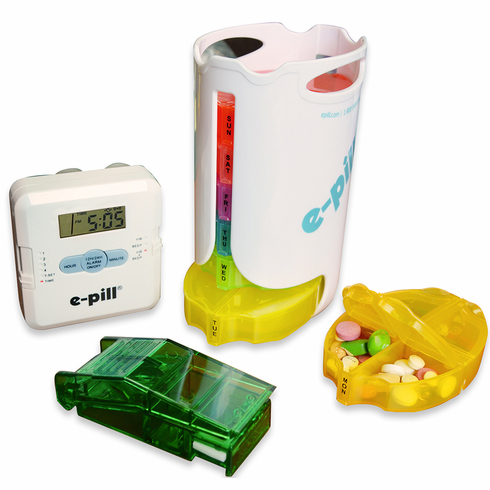 This high capacity e-pill 7-Day Pill Dispenser system makes it easy to organize and remember to take all of your medications. Seven sturdy easy-to-open pill cases labeled Sunday through Saturday, with four compartments in each, hold your medications for the morning, noon, dinnertime and bedtime. After completing your daily doses, just remove the case and slide it into the top of the tray and you will be set for the next day.